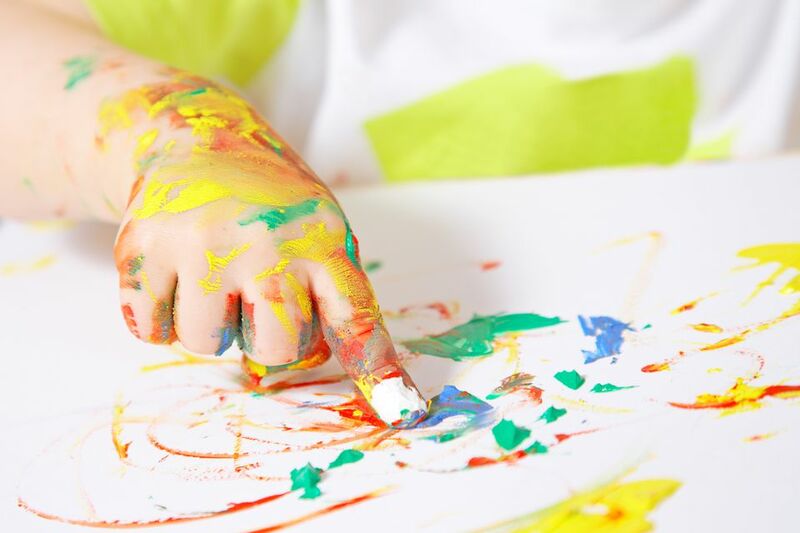 Just ask any kid: One of the best ways to paint is with your fingers! 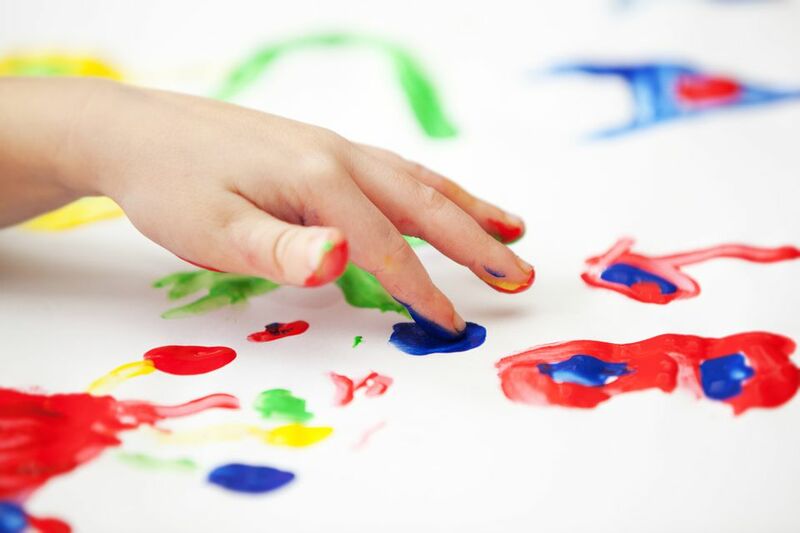 Grab any kind of paint and little crafter hands to start working on these fingerprint crafts for kids. All of them are lots of fun and simple. When you're all finished, display them in your home. Have your kids use their little fingerprints to craft these pretty poppy flowers from Sassy Dealz. Use red fingerprints for the flower and black fingerprints for the flowers' center. These thumbprint love bug cards are perfect for sending to grandparents, loved ones, or neighbors. Turn thumbprints into cute love bugs. There is nothing scary about these cartoon fingerprint bees from Crafty Morning! Print them on top of this bubble wrap beehive. In need of an easy kids craft for Easter? Try this bunny and chick craft from Sarahndipities using fingerprints. It's cute, simple, and great for crafters of all ages. All the football fans out there will love this fingerprint football craft from Fun Handprint Art. This is a super simple craft that even the littlest crafters can do! Use these turkey napkin ring holders from Make and Takes for your next Thanksgiving dinner. These can be saved and reused year after year. Fingerprints make perfect corn kernels for this corn on the cob art project by Artsy Craftsy Mom. This is a great farm-themed craft idea, perfect for after you take your kiddos to the farmer's market in the spring or summer. We are loving this awesome peacock craft from I Heart Arts N Crafts! All you need is paint, cardboard, googly eyes, and a paper plate. Your kids will really enjoy making these pretty peacocks. Use fingerprints to make leaves and apples for this cute fall craft from Crafts by Courtney. Your kids will have a lot of fun working on this project. Help your young ones learn the letters of the alphabet with this fingerprint activity from Hello, Wonderful. Make these painted flower pots from Mom Always Finds Out, with your kids for the spring season. Use your thumbprints to make bees, butterflies, and ladybugs. This is the sweetest gift idea for Mother's Day. This easy magnet craft from First Grade Blue Skies is perfect for your kids with just a little bit of help from an adult. Make a wish on this thumbprint dandelion craft for kiddos from Glued To My Crafts. It's colorful, fun to make, and will look great displayed in your home for spring and summer. What a great idea for Father's Day! These DIY cards from Crafty Morning can be used for any holiday or loved one. They are super adorable and easy to craft.